I want to thank everyone who made it out to the photowalk this morning! The photo today is our group shot we took when we started this morning - there was actually about 7 people who showed up a little late and missed the group photo, so we had about 22 people total participating! The flickr group link here has been set up for anyone who wants to upload photos from the Terrell walk. 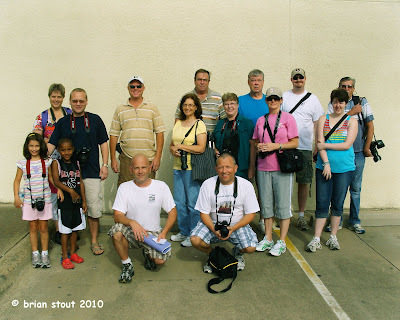 Scott Kelby also has a flickr group set up for the world-wide photowalk, and you can upload your photos here also. Beginning tomorrow through next Saturday, July 31st you can pick your best photo and upload it the Terrell Photowalk page on Scott Kelby's Worldwide Photowalk - click here! 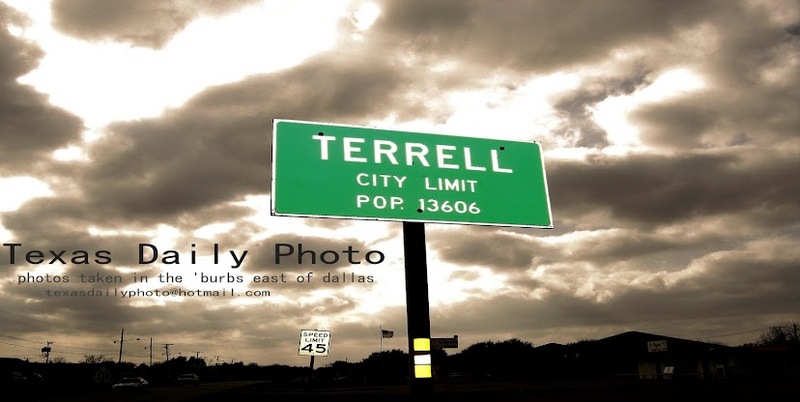 And a reminder - As long as the photo is taken today and in Terrell, it's eligible to be submitted for the contest! Thanks for a great time this morning! The Terrell Walk was loads of fun. I hope to have something worthy to upload. Pass along my thanks to Mr. Griffith-Cox for allowing us to photograph his interesting house. Thanks for organizing the event. Enjoyed exploring downtown Terrell with my camera.